On Dec. 9, the U.S. Coast Guard notified OR&R of the Lake Washington A10 Well Leak that was discharging oil after an equipment failure on a wellhead. OR&R went on scene to provide scientific support in the form of oil spill trajectories, aerial observations, and shoreline injury and cleanup assessments to the Unified Command. Responders received reports of oiled birds and bottlenose dolphins that had been observed swimming through the oil on the water’s surface. 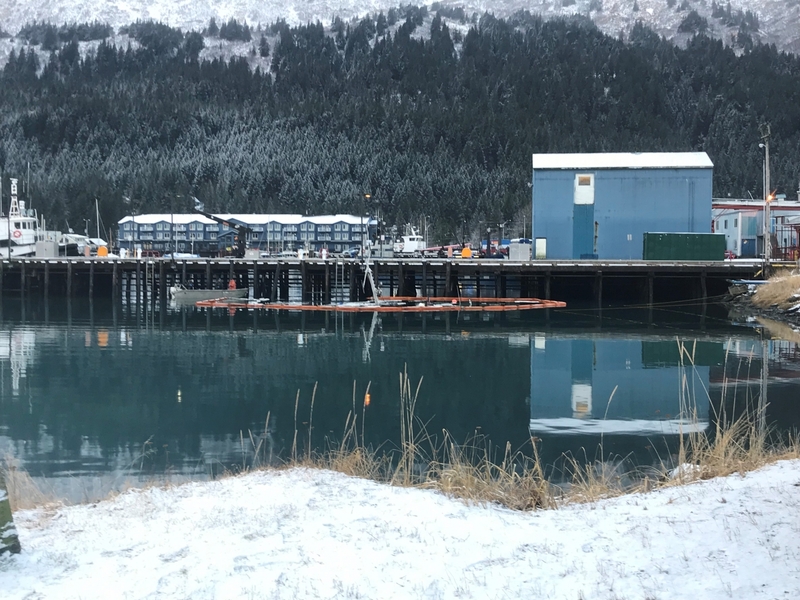 In a press release sent out on Dec. 17, the Coast Guard stated that approximately 10,080 gallons of oily water mixture had been removed at that point. About 13,300 feet of hard boom had been deployed at the time of the release and response operations were ongoing. 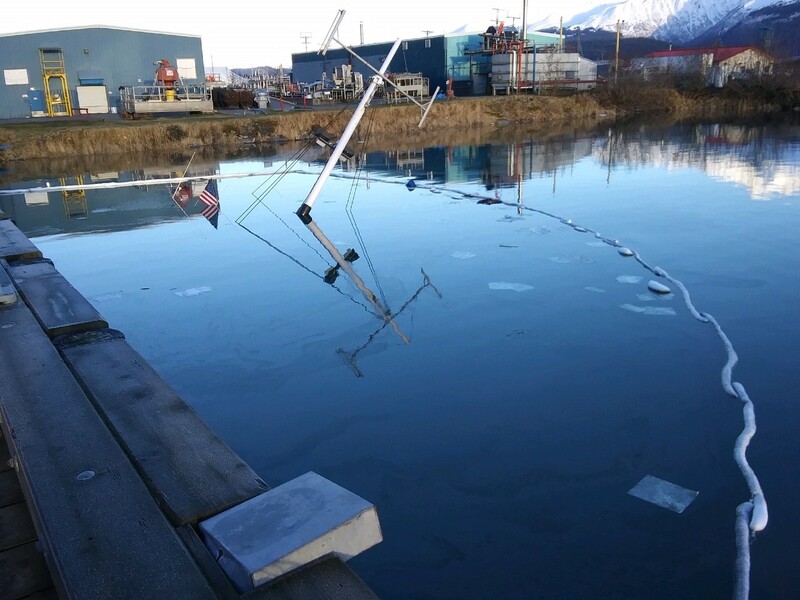 A fishing vessel sank at a dock in Seward Harbor in Seward, Alaska on Dec. 9, 2018. The Nordic Viking was carrying about 700 gallons of marine diesel at the time the vessel sank. A rainbow sheen and black oil was observed shortly after the incident, and absorbent boom was placed at the dock to prevent further oiling. Divers with a salvage company plugged the fuel vents to stop any leakage. A press release sent out on Dec. 12 stated the cause of the sinking as unknown. 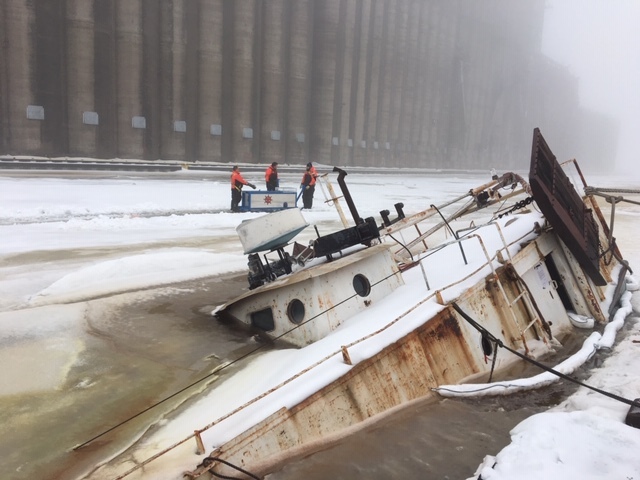 OR&R was notified that a fishing vessel was taking on water at the Hughitt Slip Pier in Superior, Wisconsin on Jan. 4, 2019. Superior Fire Department arrived on scene and attempted to de-water the vessel. Though no visible signs of pollution in the water were reported, responders noticed a smell of diesel and noted that oil was present on the vessel. 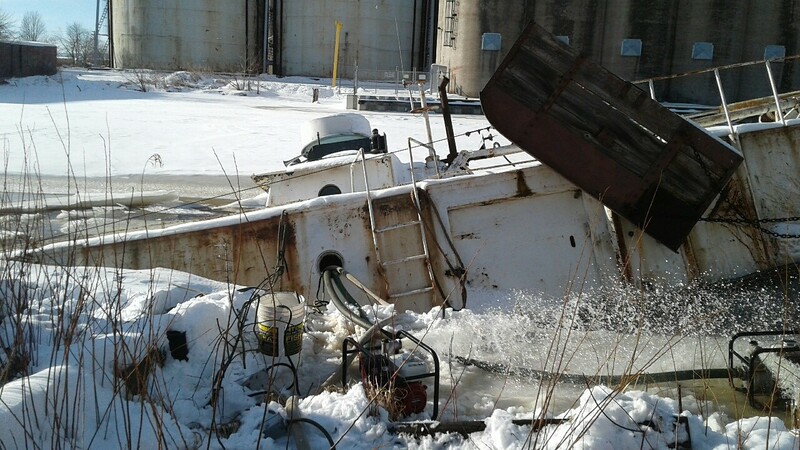 Efforts to pump out the water ceased after the vessel continued to sink and a salvage contractor was hired to determine the best way to move forward. 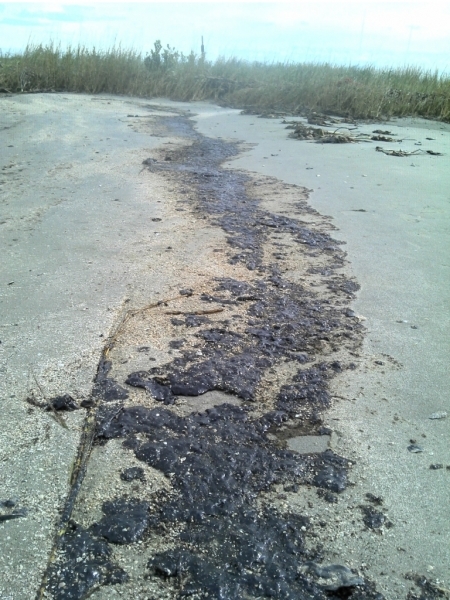 Oil from the Lake Washington A10 Well Leak near Port Sulphur, Louisiana as seen on Dec. 12, 2018. Image credit: NOAA.